I am back with another post! Today, I’m very happy because I finally got my first Bobbi Brown product — the Long-Wear Eye Pencil! I think this brand is a dream product for all the makeup lovers out there. I purchased this product from Bobbi Brown store, Ambience (Gurgaon) and they happened to have an on-going promo so I got a discount of 10%. Now, let me tell you more about this product! For a high-class brand like Bobbi Brown, I think this product is reasonable. There are less expensive products on the market but you can immediately say that this product is made of high-quality materials and ingredients once you see it on the store’s shelf. Bobbi Brown Long-Wear Eye Pencil is a richly pigmented pencil which glides on smoothly and delivers intense definition. This specially formulated product lasts up to 12 hours, so you don’t have to worry about reapplying again in the middle of your busy day. It is waterproof and smudge- and transfer-resistant as well. Each eyeliner pencil comes with a complimentary sharpener. Black Navy (Deep Midnight) is a dark navy blue with a hint of purple eye pencil. This one looks really good on the eyes if you want a more dramatic look, but it seems darker than other navy blue eyeliners. Black Plum (Rich Eggplant) is a medium-dark eggplant purple with subtle red-burgundy undertones. This variant has a bit of a metallic finish. Hunter (Deep Emerald Green) looks darker than the emerald shade but it does not disappoint nevertheless. This swatch looks perfect for people with olive undertones. 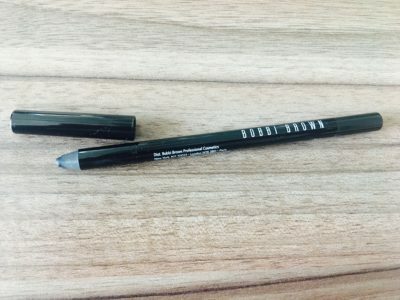 Jet (Intense Black) is Bobby Brown’s black swatch but unlike other eye pencils in the market, you don’t have to apply rub this over and over again because it already makes eyes so dark in just one stroke. Mahogany (Rich Brown) is a deep chocolate brown with subtle warm that is perfect for women with red undertones. Smoke (Charcoal Gray) is a dark gray with hints of purple eye pencil. This one is a perfect option if you want to do away with too much dark, smokey look. 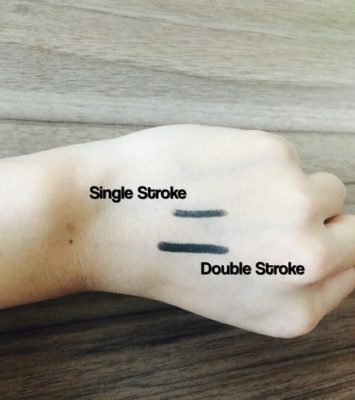 I have already used lots of eye pencils of different brands before and they all start smudging after 5-6 hours, but Bobbi Brown Long-Wear Eye Pencil is different. This eyeliner really stays on the eyelids for about 8-9 hours without smudging or smearing. It seems like a creamy gel which is molded into a pencil. It glides in smoothly and works perfectly on upper eyelids, lower eyelids and even on water lines. One of the drawbacks of this eyeliner is that it is very hard to erase this product using a makeup remover. Make sure you buy a good quality eye makeup remover when you purchase this eye pencil because an ordinary makeup remover won’t work. You may create smokey eyes with this eyeliner but you have to do it fast because it becomes difficult to smudge it after a few minutes. It doesn’t smudge when it already becomes dry. 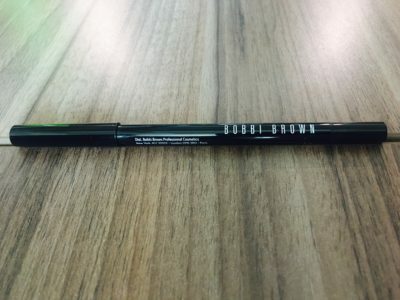 Bobbi Brown offers a twist-up eye pencil as well, but I personally prefer this one. For some people, this may be a con as pencil sharpening leads to product wastage. If you have oily lids, make sure to apply an eye primer first before applying this eyeliner. Despite its cons, I still think this product is a good buy. It’s so easy to use and will definitely help you achieve your desired look in just one stroke. You can even go for other color options if you want to do away with a darker or dramatic look. All in all, this product is a perfect option for women who want to look totally gorgeous in any occasion.